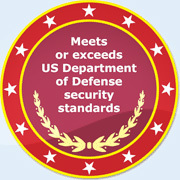 Drive Erase Pro meets or exceeds the U.S. Department of Defense's clearing and sanitizing standards. To adhere to these rigorous standards, Drive Erase Pro erases files permanently and securely by overwriting all addressable locations on your hard drive with a character, its complement, then a random character. 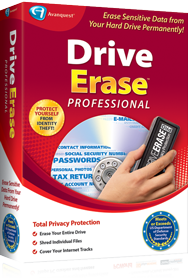 Drive Erase Pro goes one step beyond by providing a Disk Viewer utility so that you can verify that the data has truly been deleted!